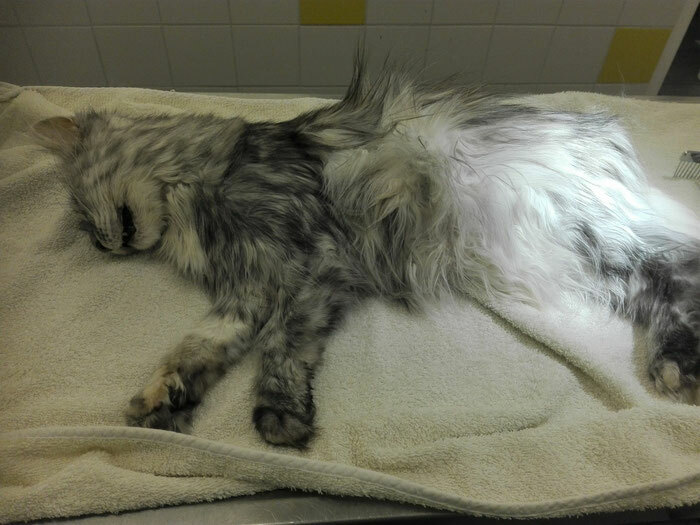 A cat's fur can tell you a lot of things; a mangy fur can be the result of kidney failure, an over-active thyroid, obesity, arthritis, other physical discomforts or behavioural issues. If I believe there is a medical cause for the bad condition of your cat's fur, I will recommend you visit a vet after grooming. When does a cat need grooming? There are various cat breeds with medium to long hair that need help from their owner or a groomer to keep their fur healthy. Short-haired cats may also experience fur issues. For example, if they can no longer clean their entire body due to pain issues or other problems, they may also experience tangling or even matting. Tangling or matting are painful for cats. If a cat can't be groomed by her owner, a grooming session by a professional cat groomer may be the solution. 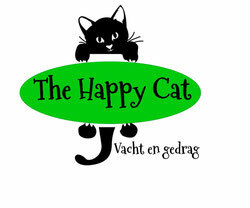 If the cat can't be treated by a groomer either, The Happy Cat can sedate your cat at the grooming salon; there is a vet on site who will administer the anaesthesia. This way, your cat undergoes a stress-free treatment, and all tangling or matting can be removed easily, quickly and without pain or excessive stress. Sedation is not available when your cat is groomed at your own home. Go to ‘Cat grooming salon’ for more information. When you book an appointment, I’m happy to share how you can best groom your cat at home. You can also buy the necessary tools from The Happy Cat. After a grooming session at The Happy Cat, you can always contact me for more advice. I'm happy to help! A Happy Cat feels happy in its own skin and benefits from proper grooming.